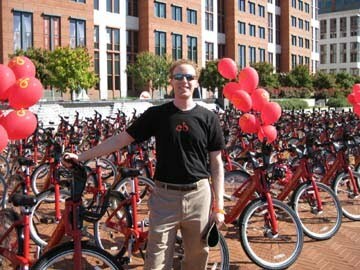 Congratulations, Paul, for achieving your vision for bikesharing in the nation's capital. 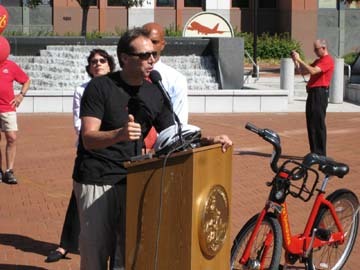 Paul, you should be as proud as a new parent with the birth of Capital Bike Share You've pedaled hard to help achieve large scale Public Use Bicycling in the USA. Congratulations Paul and thank you for the motivation and the wide knowledge you have shared through this blog so far. Keep up the good work! Congratulations Paul and thanks for the useful info and constant motivation you have been sharing through this blog worldwide. Congrats Paul! 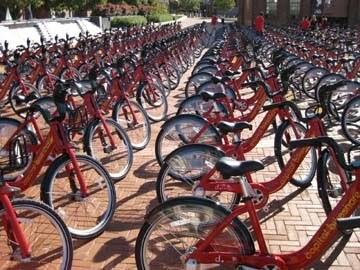 You're vision comes true and I'm sure that it's just the beginning and that many other cities will follow Washington DC and adopt their own bike sharing system. 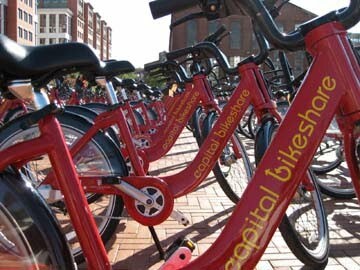 I'm thrilled with Capital Bike Share! I used it every day to commute to work. What a service you've done for the city. Thank you, Paul.